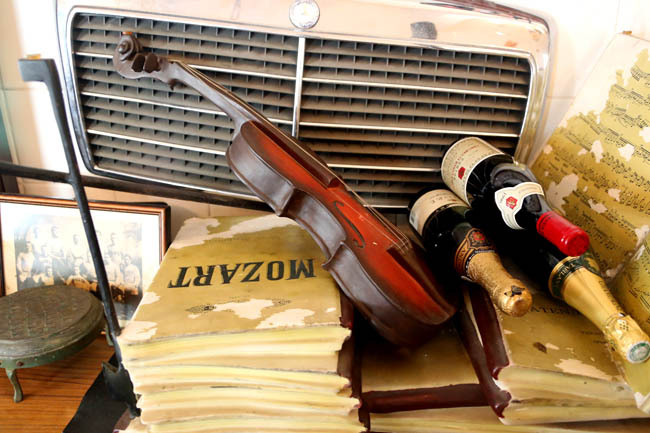 There is no place quite like this in Singapore, a museum-restaurant that takes you back on a historical trip. 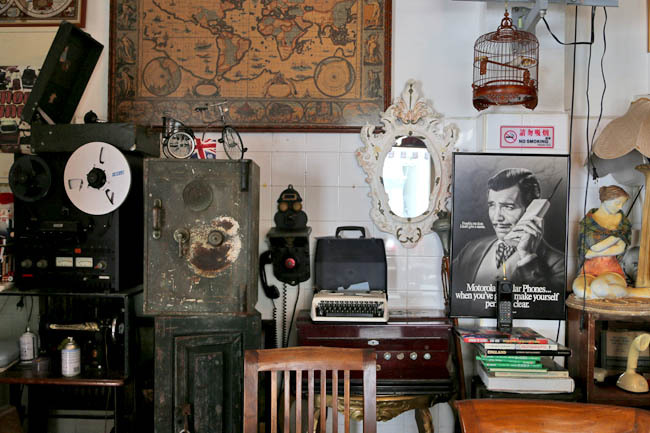 Vintage collections, old furniture, with home-styled British Hainanese food – that’s British Hainan for you. 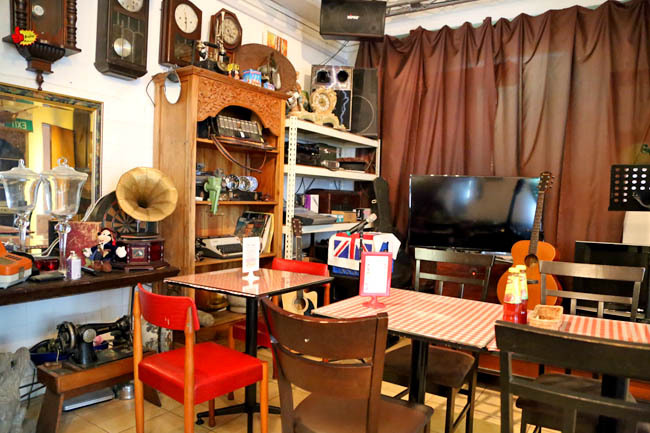 Located at Carpmael Road near Joo Chiat, you will just be charmed by all the classic collectibles of old records and toys, seating on heavy wood furniture with red-checked tablecloth. This is insanely 1960-1970s “Growing Up” one more time. I love it! 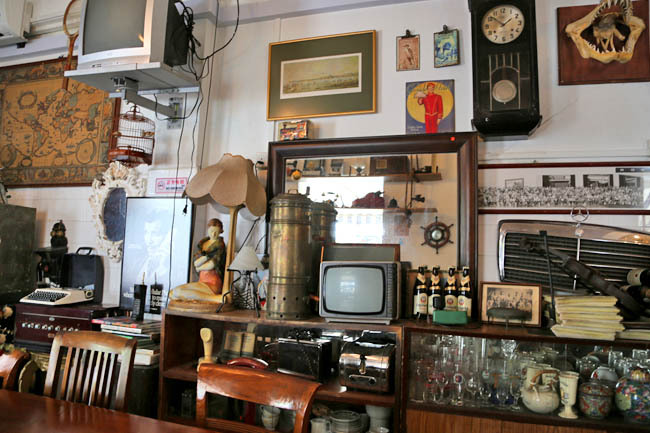 This nostalgic restaurant is a family-owned. Dad Mr Frederick Puah does the cooking, mum the finance, children who left their jobs to do the cooking and serving. A family who works together, stays together. 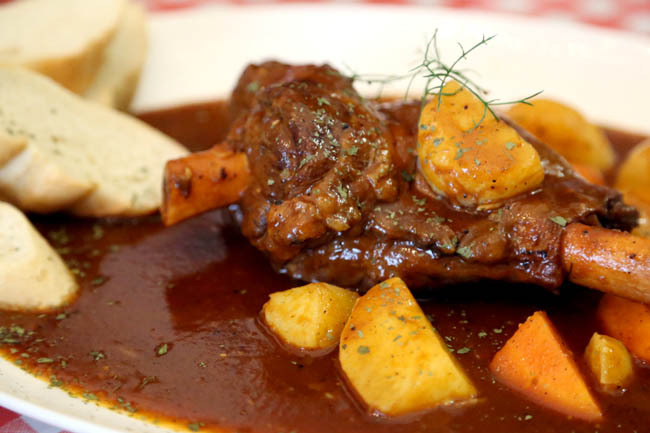 British Hainan serves British-inspired dishes such as Fish & Chips ($12.90), Banger and Mash ($12.90), Dijon Mustard Pork Chop ($13.90) and IPA Chicken ($12.90), Oxtail Stew ($24.90) and Lamb Shank ($26.90). Food is not restaurant-polished standard yet, plating and arrangement of greens are not perfect, but there is this homely comforting taste to it. Yes, as if it is prepared by your neighbour who cooks some of their best family recipes. 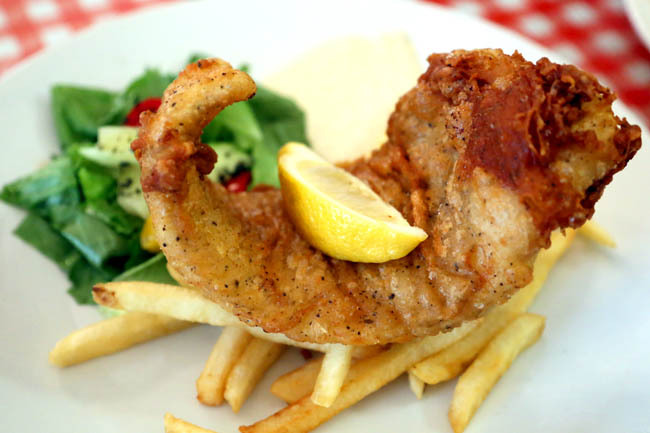 The Fish and Chips ($12.90) is surprisingly huge-portioned for its price, beer battered crispy with moist-tender inside. 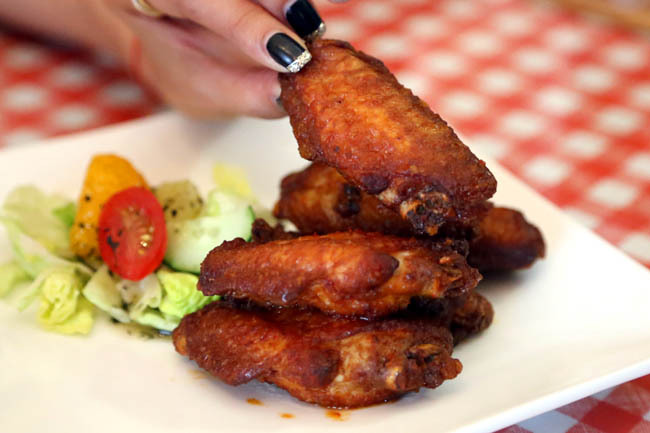 Its SOL Sambal Wings ($8 for 6 pieces) were delightful as well, evenly marinated, juicy and coming piping hot. We came expecting some Hainanese cuisines like Pork Chop, Kong Bak and Chap Chye, but there were none. Let’s keep our fingers cross for possible future additions. You can see we had so much fun dining here, as though it is our own home. (Haha) British Hainan feels like dining at a friend’s place, and an old good friend. 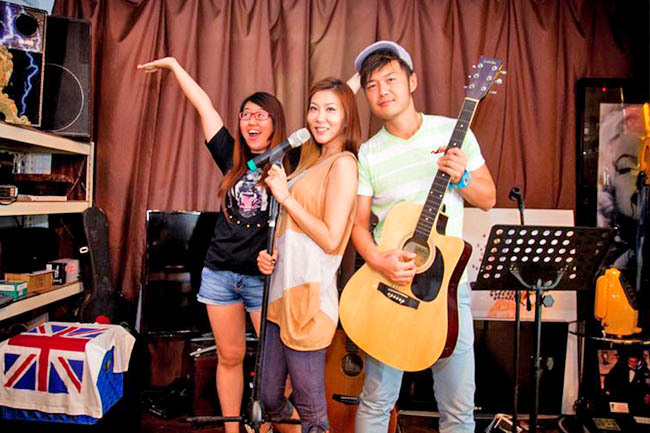 Hi Daniel, Thanks so much for dropping by our place and your amazing blog entry! Frederick Phua? My brother who had an antique shop at Leisure Park? 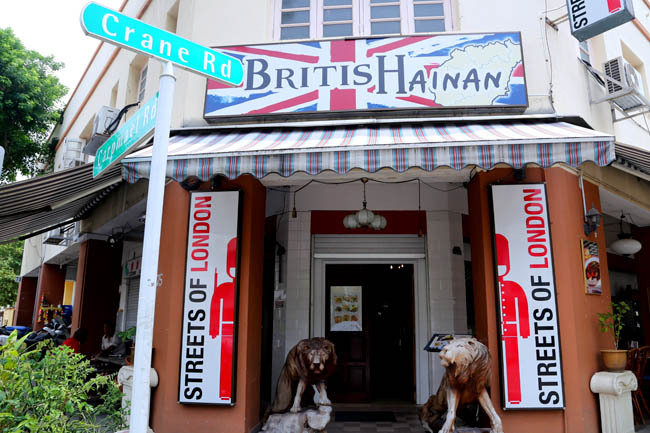 Now own British Hainan at:75 Carpmael Road, Singapore 429812? Die die must go down and support him!